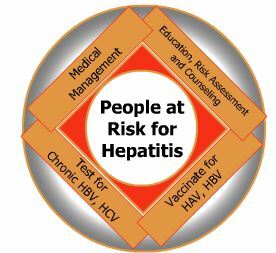 February 2015: CASL has released new recommendations for the management of chronic HCV management. See January/February 2015 volume of the Canadian Journal of Gastroenterology and Hepatology. Topics include clinical diagnosis, management, treatment and prevention. 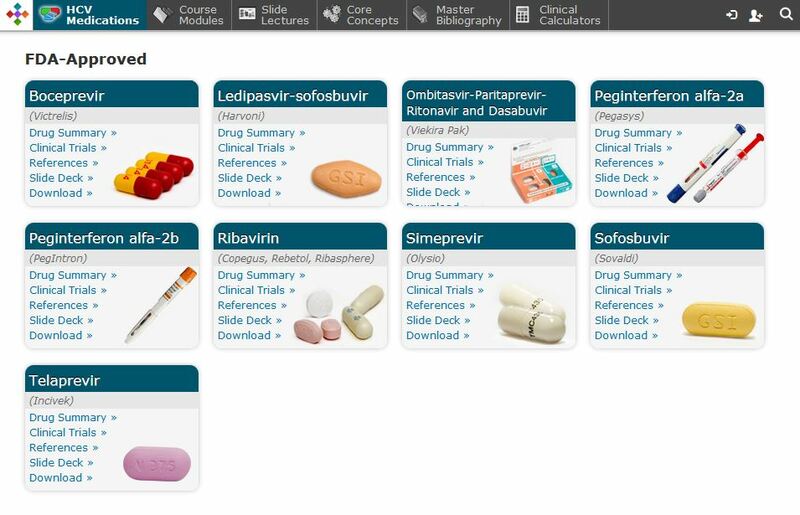 Provides information about FDA approved HCV medication. Information is categorized as follows: drug summaries, clinical trials, references, and slide decks. 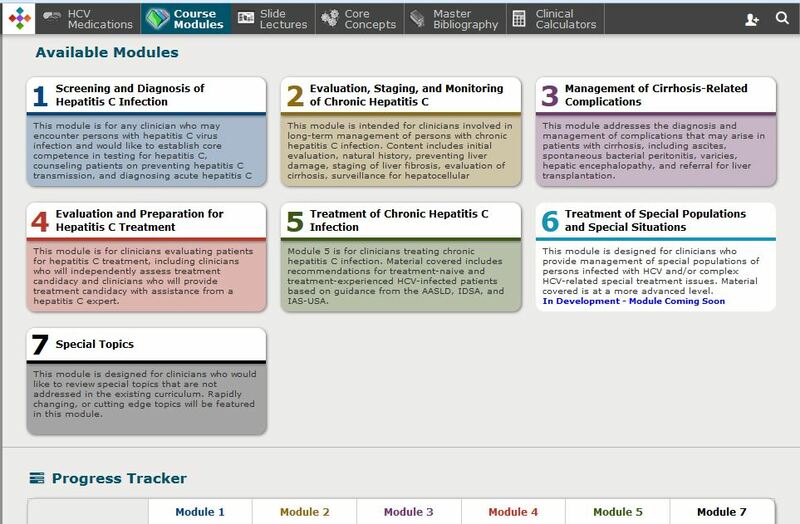 Module topics include:understanding viral hepatitis, pathophysiology of acute and chronic hepatitis, epidemiology, prevention, risk assessment, diagnosis and management.